“… ensure the future form and functionality of the town maintains and e”providea strategic urban design framework with development guidelines ready to be incorporated into the planning scheme. Implementation of the urban design framework will occur through both development control and Council’s capital works program”. 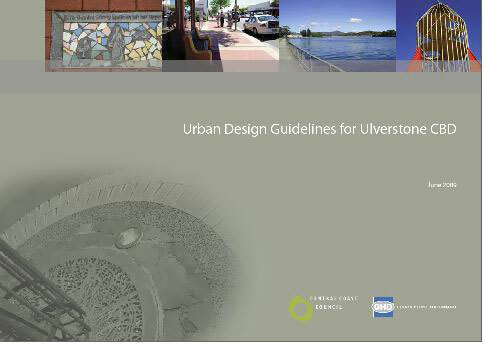 At its June 2009 meeting the Central Coast Council received new Urban Design Guidelines for the Ulverstone CBD. The guidelines, which were developed by consultants GHD Pty Ltd, provide a strategic framework and a suitable set of development guidelines which will be incorporated into the Central Coast Planning Scheme 2005 to better manage issues such as building height, open space, streetscape, heritage values, car parking, traffic management and infrastructure. The planning scheme is currently being reviewed for the purpose of implementing the Guidelines.